How healthy is your hair? To be honest, here at The Test Pit we've only ever been bothered about our hair being covered in jam or paint from paint balls, but hair health is a concern to many. 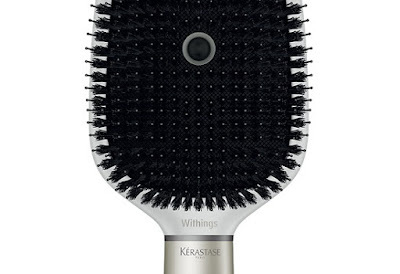 However, we doubt your GP will entertain a visit from you concerned about split ends, so instead get this: the Kerastase Hair Coach smart brush. Developed by Withings and L'Oreal, the Kerastase is a WiFi-connected brush that pairs with a smartphone app. 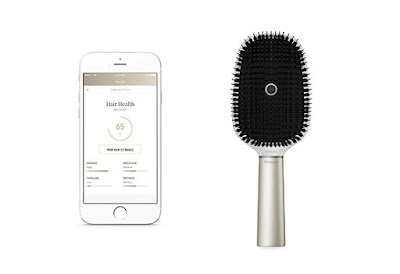 When you brush your hair it listens intently to the sound as the teeth pass through the strands, reporting back to the app on the condition of your hair. We're then guessing it recommends products from L'Oreal that could help, although we can't be sure. Except that we can. The brush was unveiled at CES in Las Vegas and demonstrates that soon no household tool will be safe from the Internet of Things. We're just wondering if the app will scream WASH YOUR HAIR, YOU FILTHY ANIMAL! If so, we're out. We get that enough from our partners. And mums.